Our desire is simple, to serve the community of Kwa Murugi by following the example of Jesus. We don’t think that being brought up in poverty should define one’s life and we strive to help the people of Kwa Murugi. It is a privilege to work with all the people of Kwa Murugi and whilst the word ‘slum’ is associated with it, it is our goal to aid the development of a thriving community that brings hope to the families within it, ultimately breaking the cycle of poverty. 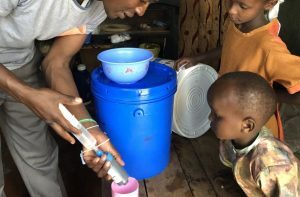 Clean water filters in peoples homes. 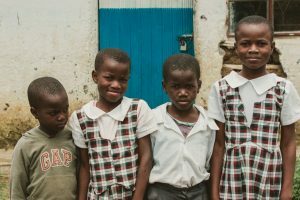 Our first major project was the building of a school specifically for children of the community to enable as many children as possible to access education. 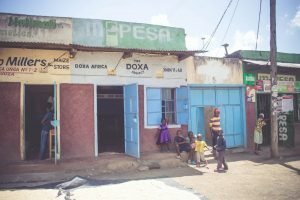 We completed this project at the end of 2016 and began a greater focus on the community as a whole, looking at how we as The Doxa Project can best serve within Kwa Murugi. 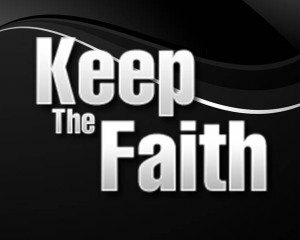 Raise money for charity with Keep The Faith magazine. Purchase any copy of Keep The Faith magazine through this store, and we’ll donate 20% of the magazine price to a charity of your choice. © Copyright Keep The Faith Ltd. All rights reserved.